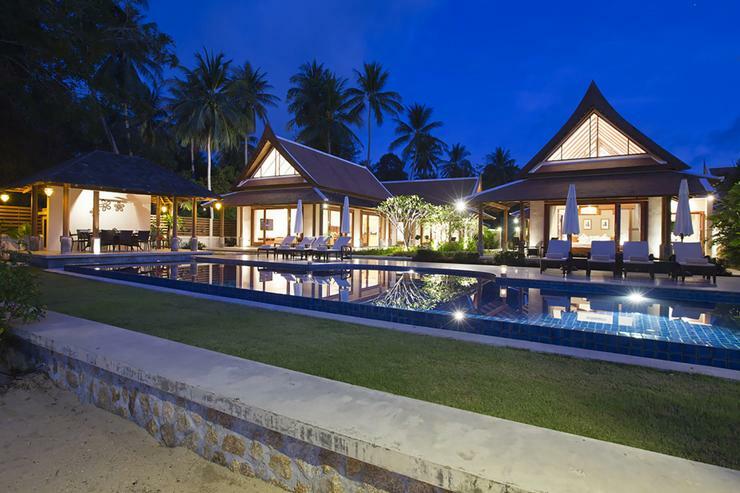 Baan Tawantok villa 1 is an engaging property set on a natural stretch of unspoilt beach in Lipa Noi. 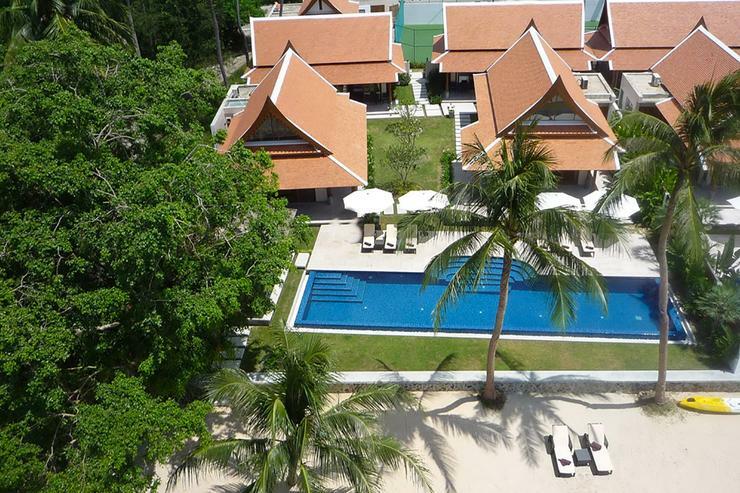 It is located about 35 kms from the airport and 40 minutes from Chaweng. 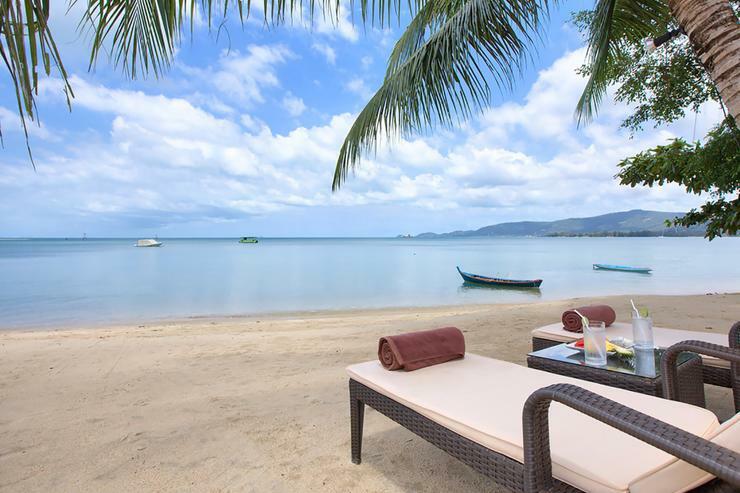 With no rock or dead coral, the beach conditions are perfect for year round swimming. 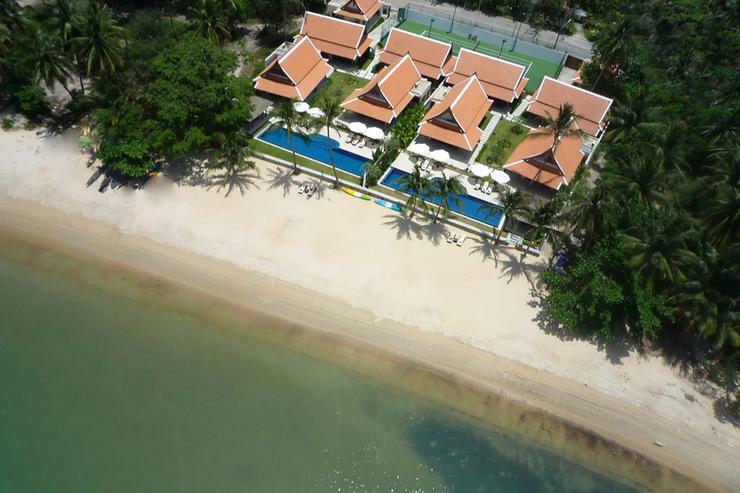 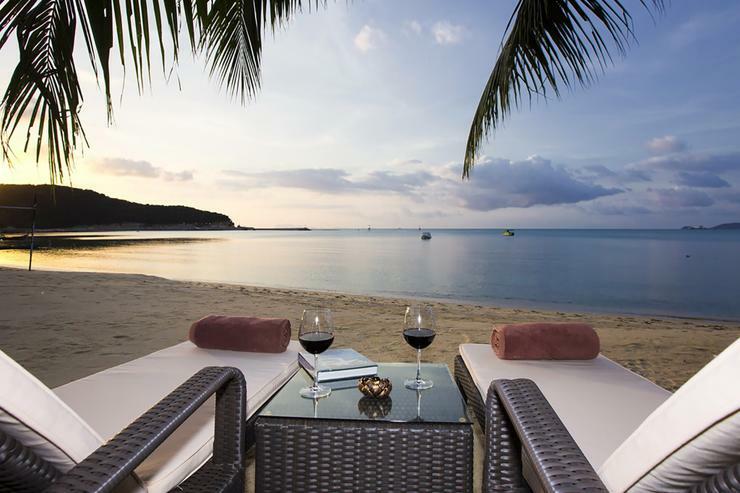 The villa also boasts a wide beachfront which is perfect for a range of activities including volleyball. 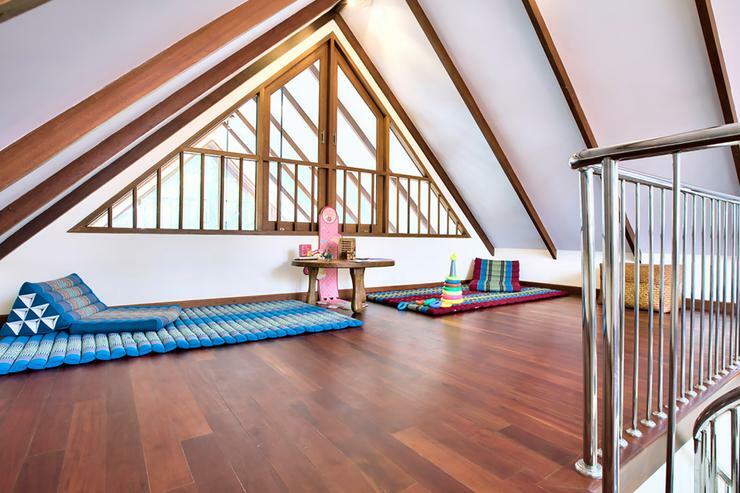 The kids can have a great time exploring rock pools and collecting shells. 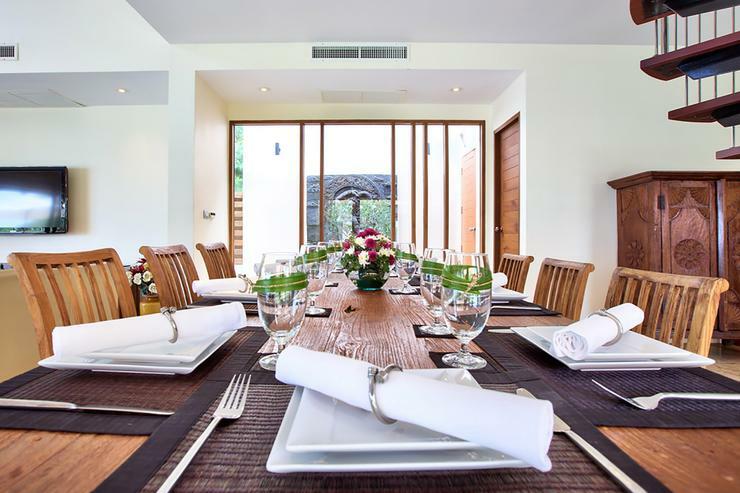 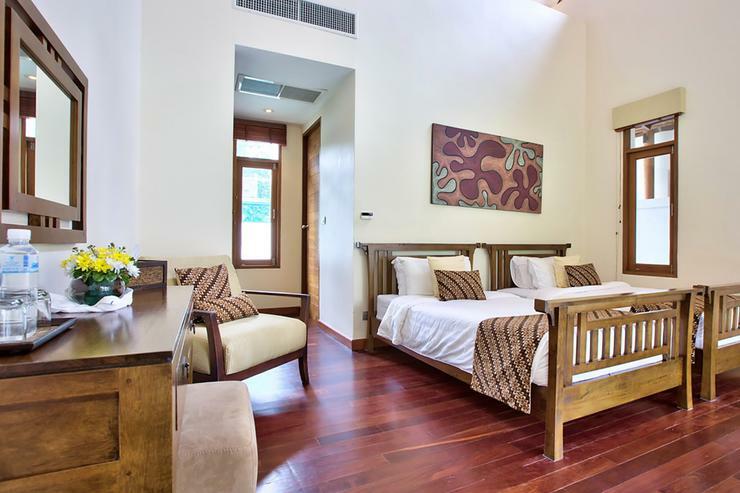 Baan Tawantok villa 1 comprises two individual five-bedroom villas sharing a common tennis court. 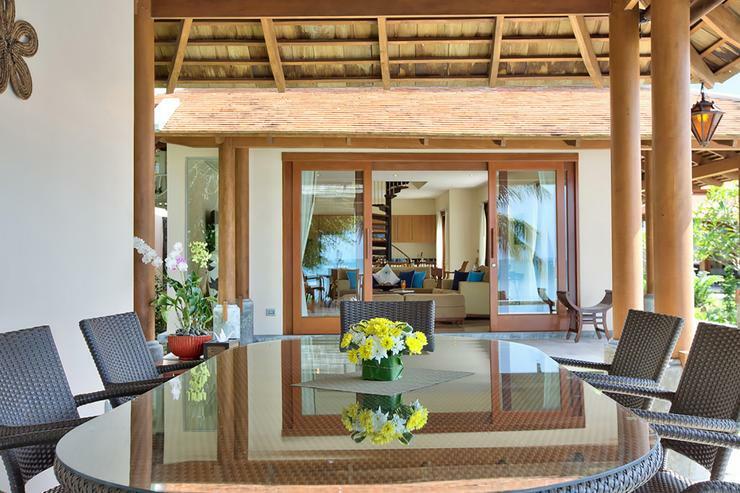 The exceptional sized property represents luxurious and flexible accommodation. 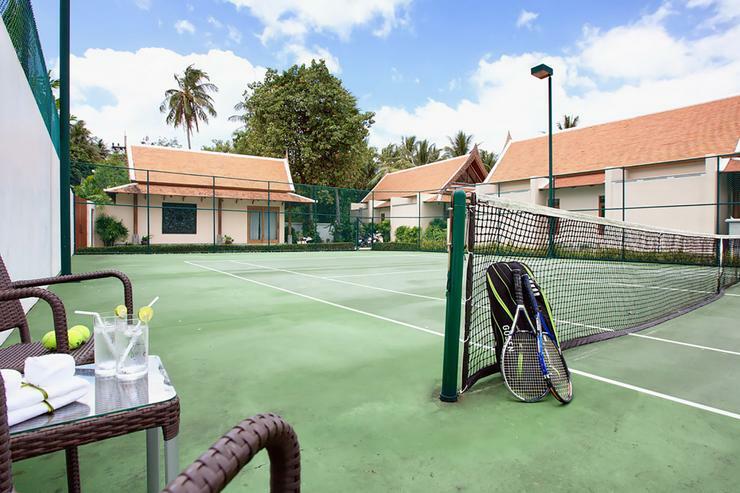 The villas can be accessed from either side of the tennis court. 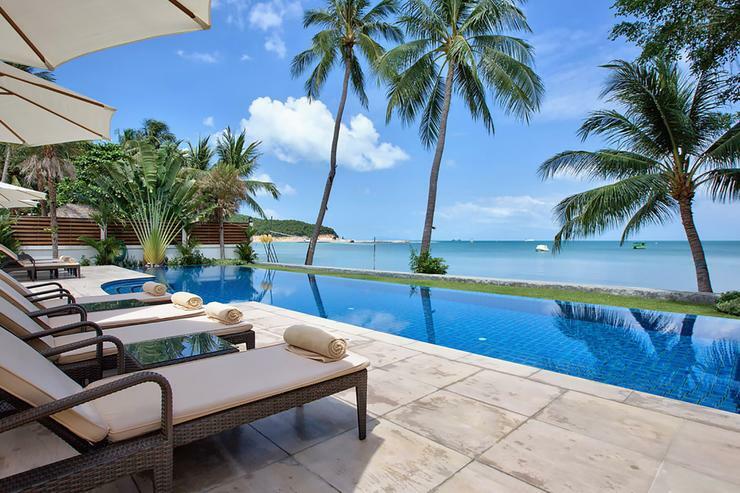 Enter through the gateway of each of the villas and you will be impressed by the sheer scale and exclusivity of the property as well as the impressive beachfront location. 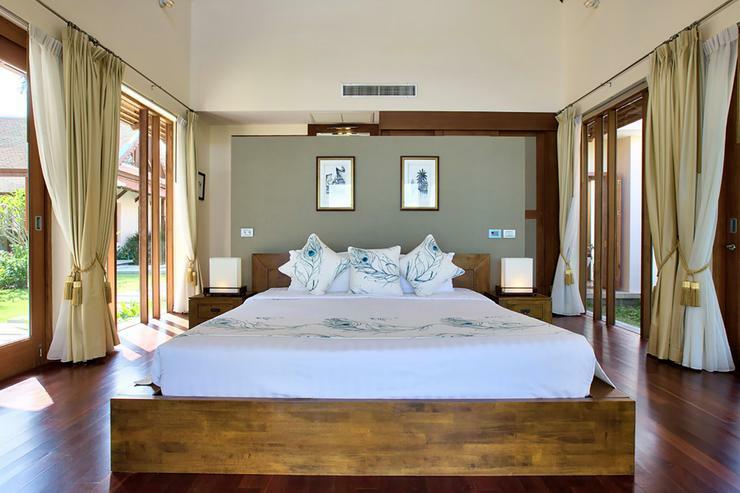 The villas flaunt a contemporary layout and southern Thai styled two-tiered roof structures, and an interior decor that is an interesting fusion of best features and tastes taken from across continents to create a unique masterpiece. 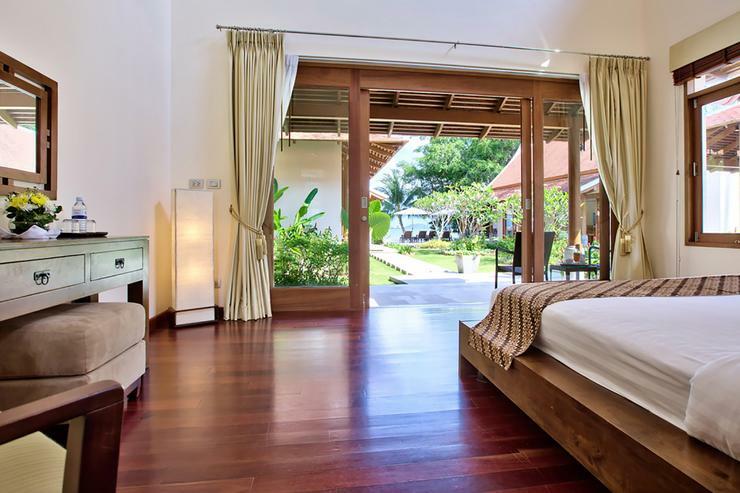 The entrance of the Baan Tawantok villa 1 leads you to a bedroom pavilion on both sides and each parallel to the sea in front. 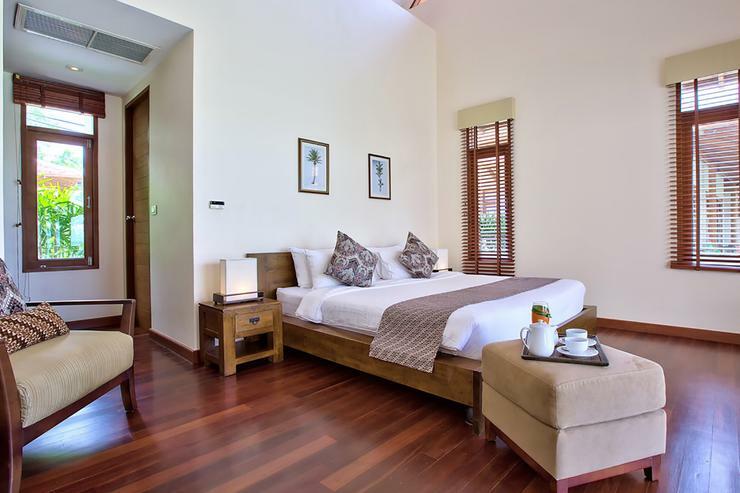 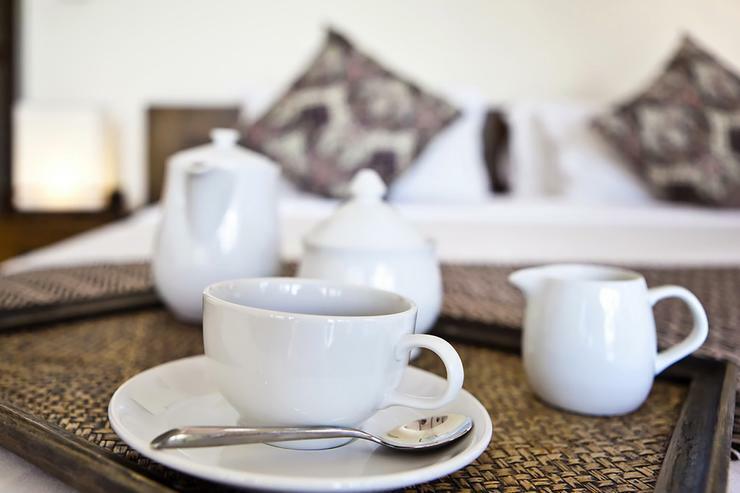 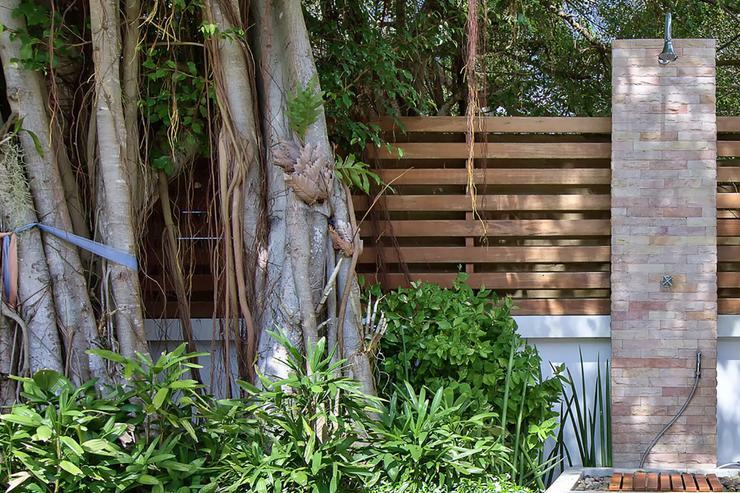 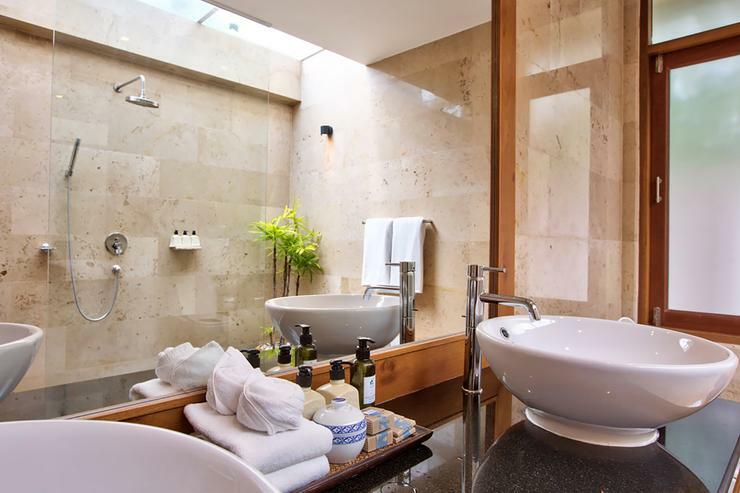 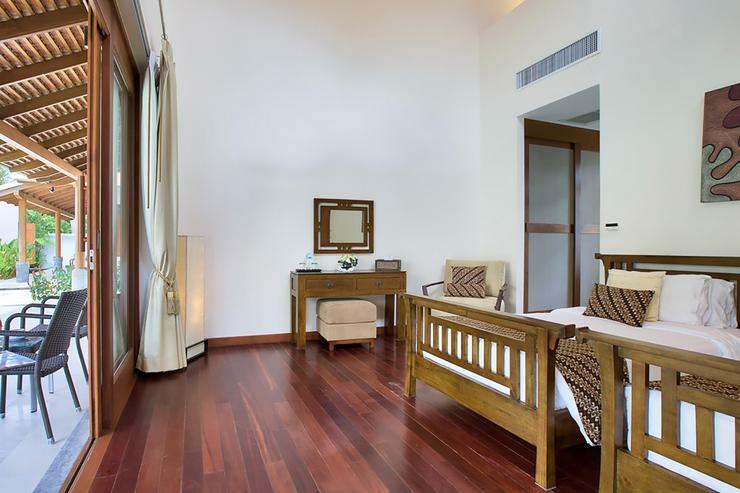 Each bedroom is serviced by an en-suite bathroom and is fronted by an expertly maintained central garden, decorated with stunning Frangipani trees. 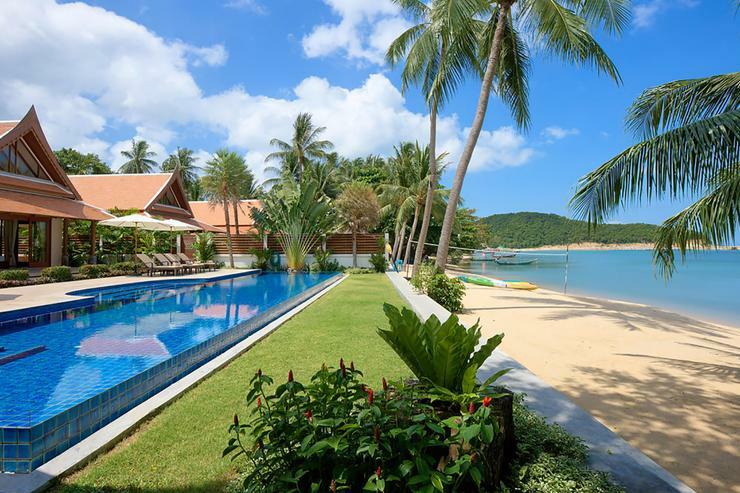 The garden, which leads onto the pool terrace, the pool and then down onto the white-sandy beach is flanked by two further pavilions on either side. 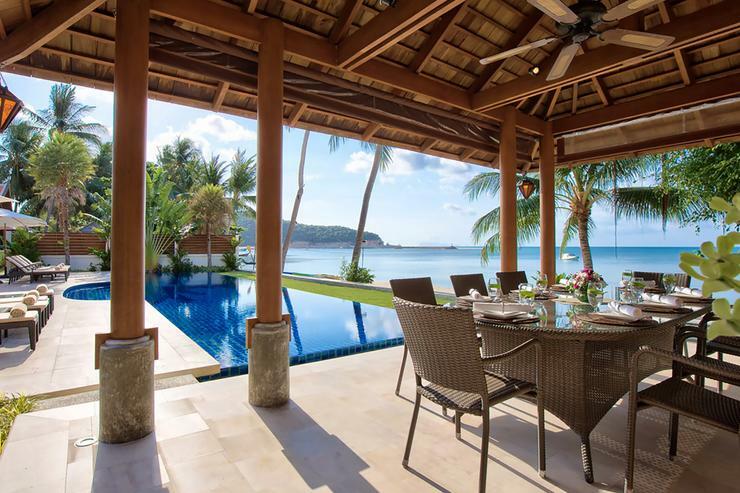 The pavilion on the right houses the kitchen, dining, and lounge. 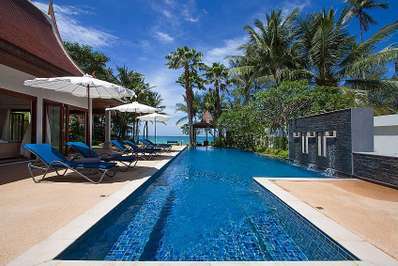 In front of this is an exquisite outdoor sala with comfortable lounge furniture. 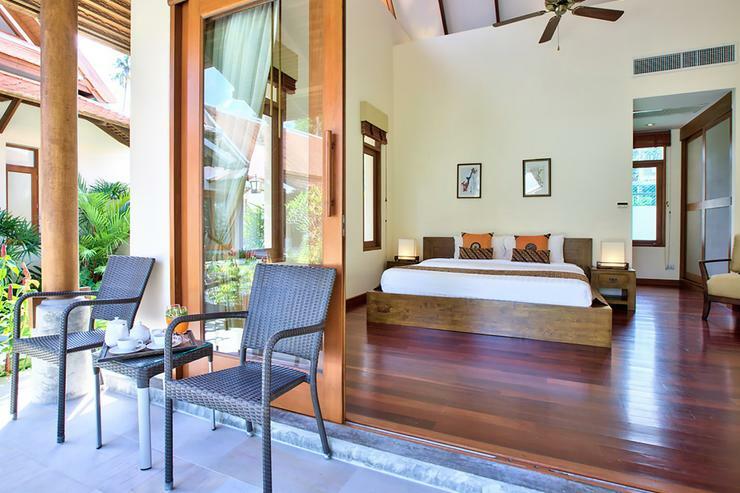 The building on the left is taken up by a phenomenal master-suite with a stylish lounge area, en-suite bathroom and the dressing area which leads to the poolside and to the beach. 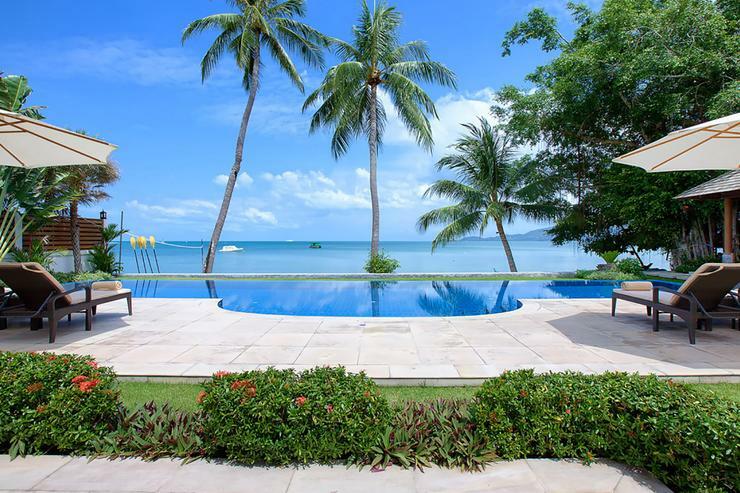 In the distance you can see the Ang Thong Marine Park and the mainland of Thailand. 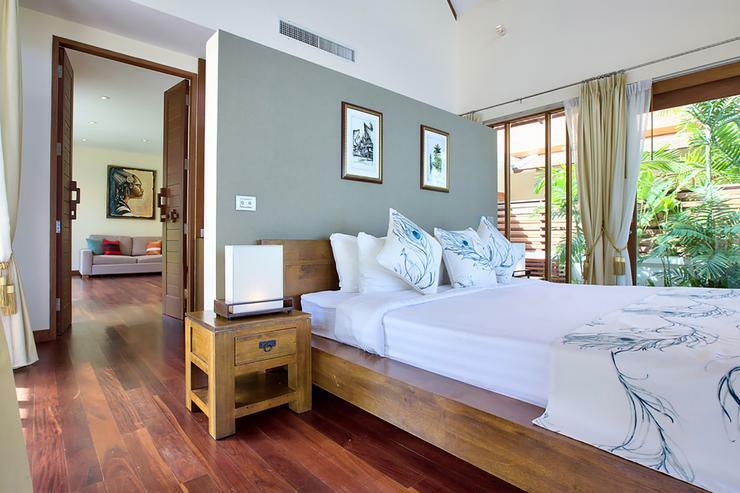 Each of the four en-suite bedrooms, three doubles and one twin, are beautifully designed and decorated, and fitted with a mixture of furniture, furnishings, ornaments and artworks. 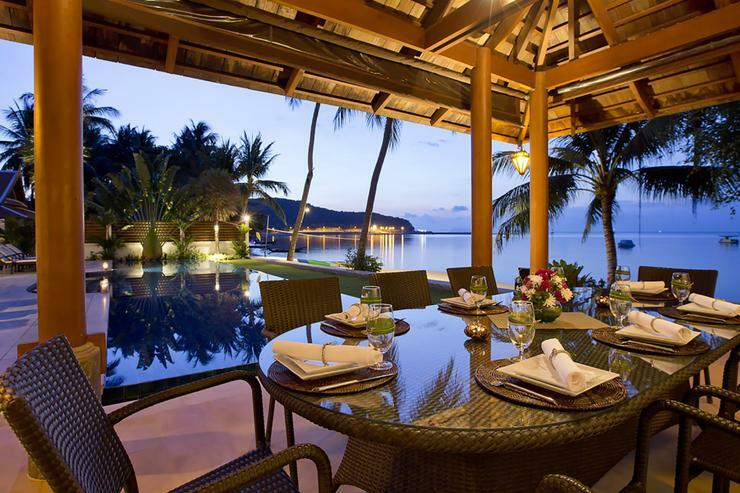 The pavilions front a covered terrace with all-weather seating where you can sit, relax and take in the beautiful views. 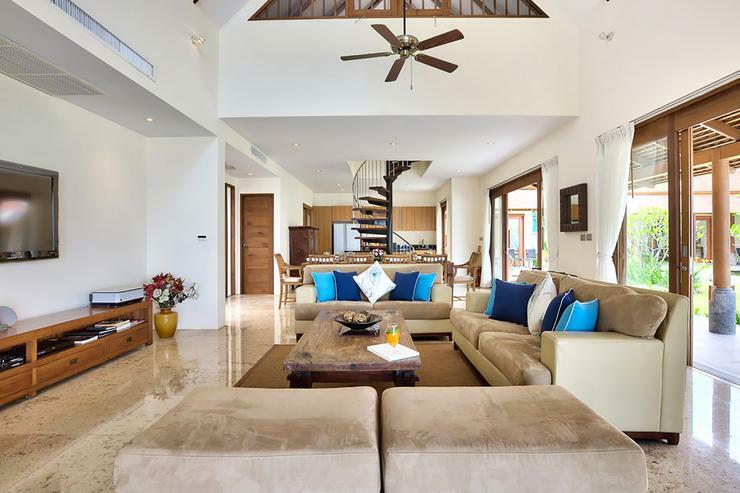 The lounge area has a staircase which leads to an office space. 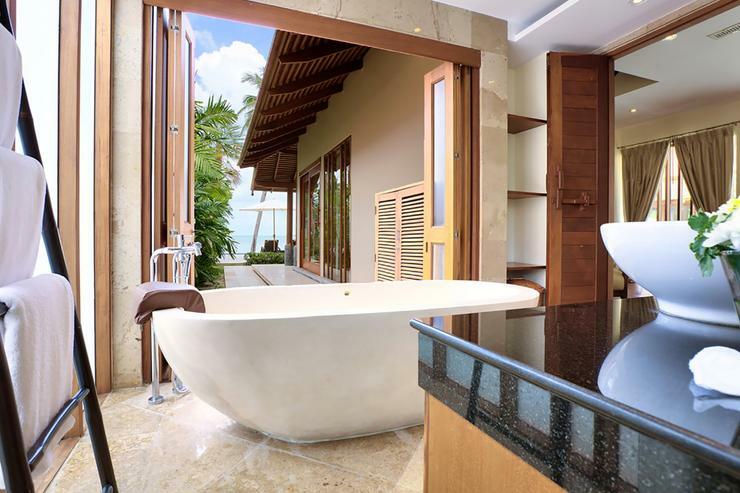 Also off the lounge you can enter the en-suite bathroom with door that open to allow you enjoy the view out to the ocean. 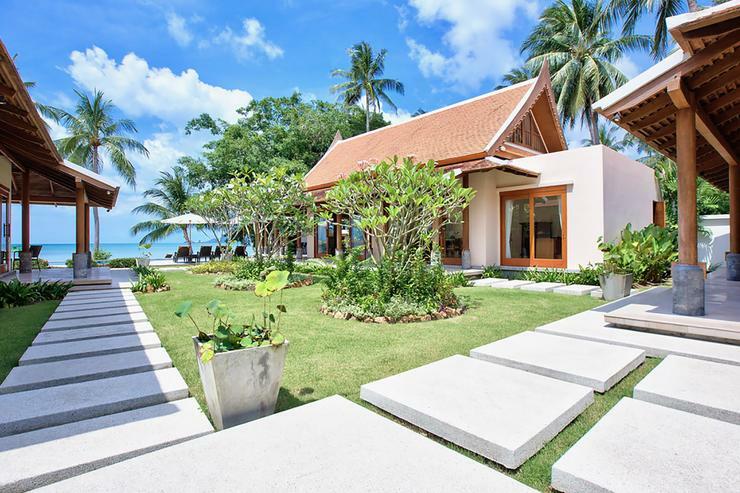 A small garden area separates the living pavilion from the sala and a walkway leads around the side of the pavilion to a bathroom which can be accessed from inside or outside the building. 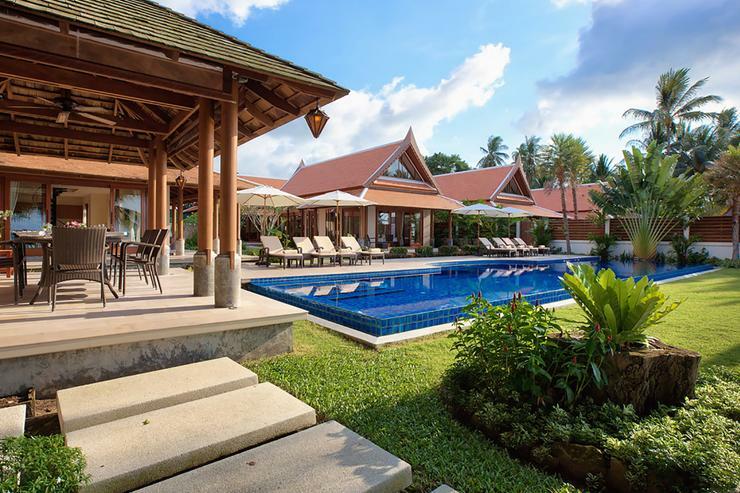 The pool end of the pavilion also has a comfortable lounge area with large flat-screen TV and comfortable furniture. 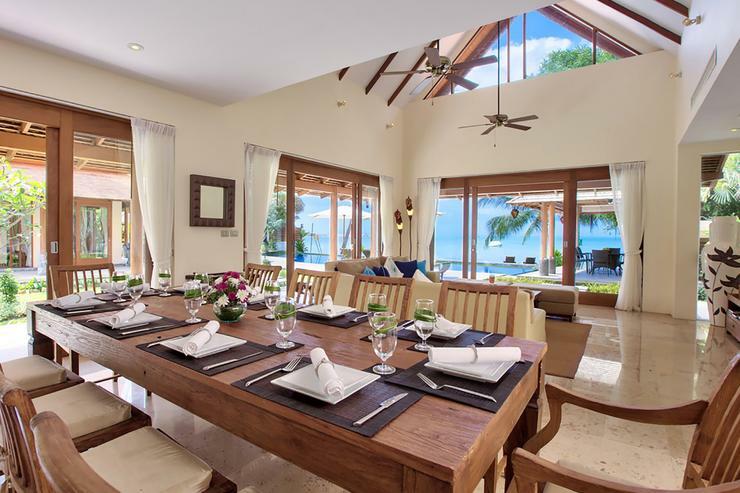 At the opposite end is a functional modern fitted kitchen and also a separate staff kitchen. 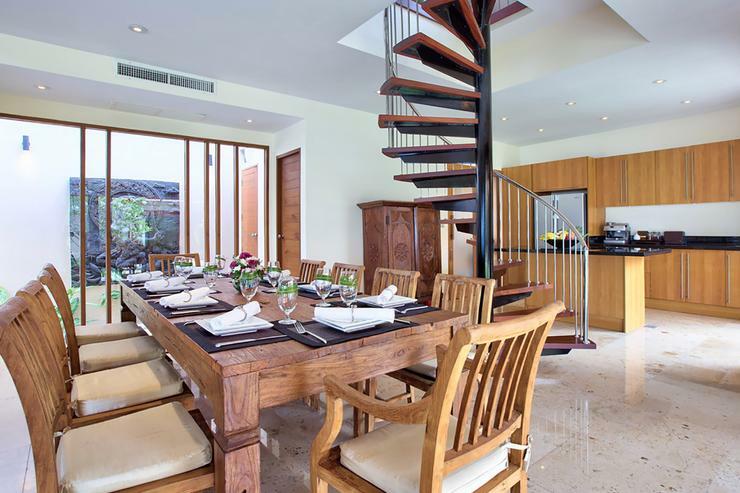 Between the kitchen and the dining spaces there is a spiral staircase which leads up to a loft space currently used as a kid's room. 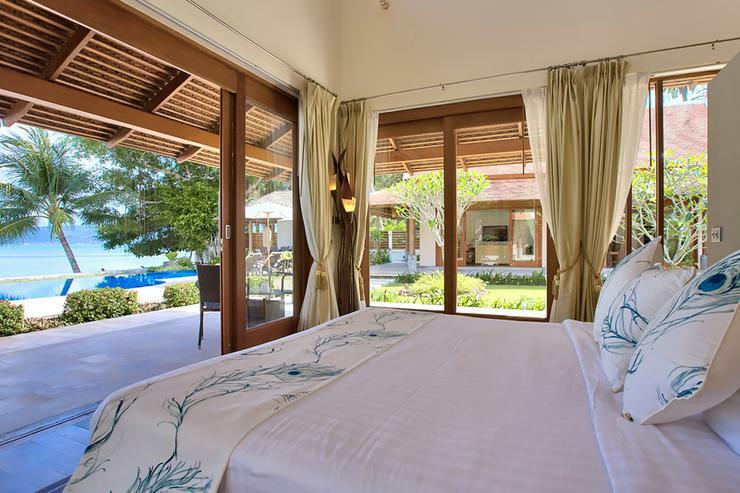 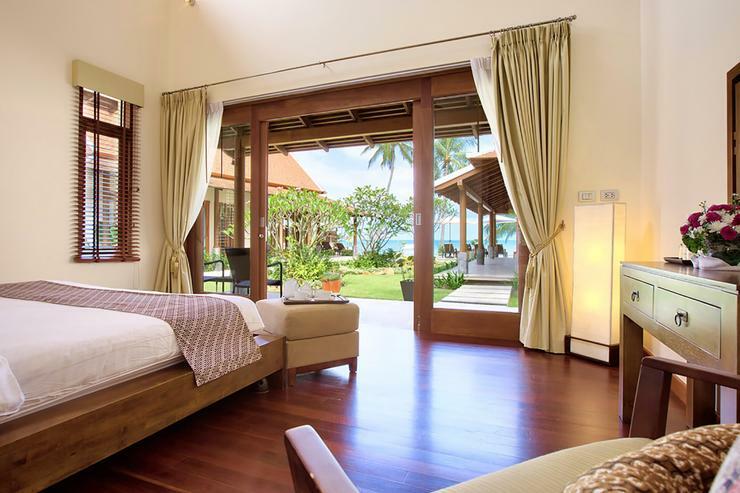 The two villas are linked by the bedroom pavilion and at the poolside level. 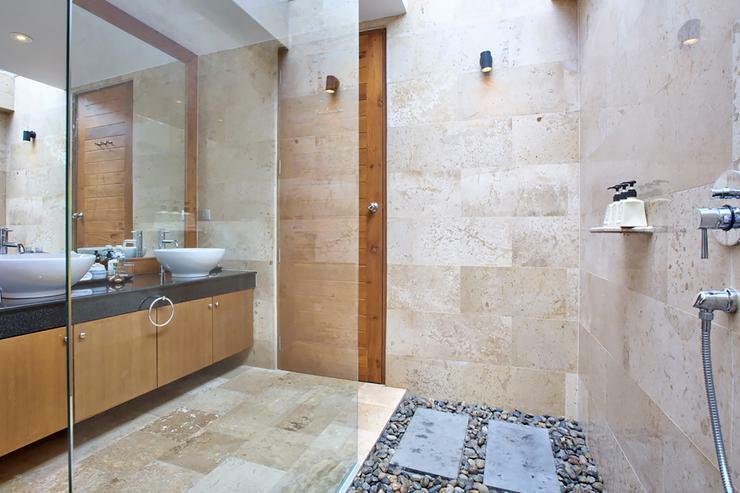 The second villa mirrors the first in design, space and layout. 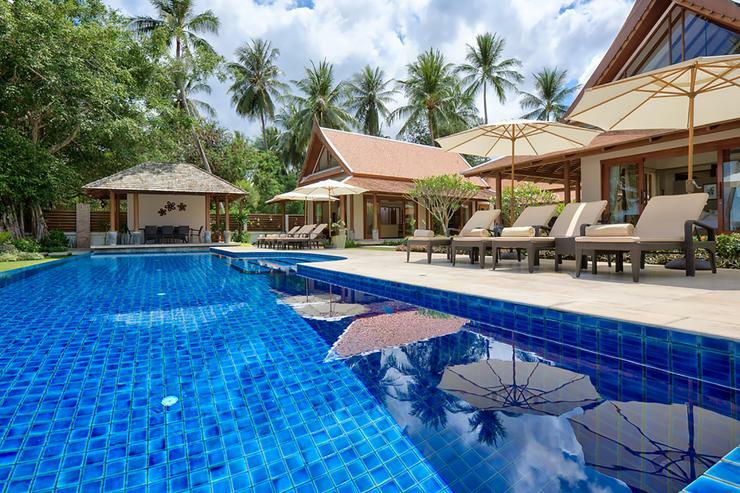 Baan Tawantok villa 1 is perfect for large groups of friends or families who can have the privacy of two outstanding individual properties as well as the ability to socialize, entertain and spend quality time together.